Point2 Homes gives you far more than a simple list of houses for sale. 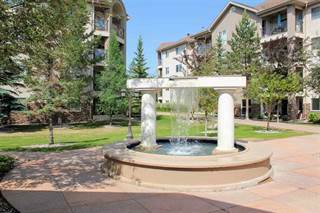 Get instant access to a lot of relevant information about Meadowlark Park, West Edmonton, Edmonton, AB real estate, including property descriptions, virtual tours, maps and photos. The search results pages also have a wealth of information on Meadowlark Park, West Edmonton, Edmonton, AB, if you scroll all the way down. 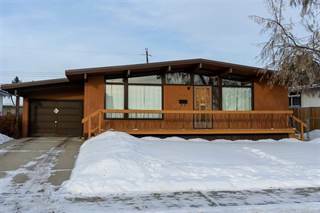 There are 10 houses for sale in Meadowlark Park, West Edmonton, Edmonton, AB. Searching homes for sale in Meadowlark Park, West Edmonton, Edmonton, AB has never been more convenient. 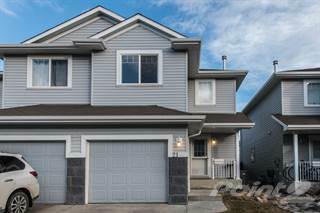 With Point2 Homes, you can easily browse through Meadowlark Park, West Edmonton, Edmonton, AB single family homes for sale, townhomes, condos and commercial properties, and quickly get a general perspective of the real estate prices. Also, you’ll never miss a bargain if you filter listings based on house price drops in the past six months. Use the map view to find Meadowlark Park, West Edmonton, Edmonton, AB homes and apartments for sale, based on amenities or city features that you may want close by. You can close in on a specific neighbourhood or area by simply drawing around them with the polygon or radius tools. Stay informed about the latest entries on the real estate market by saving your searches. This way, you get new listings in your inbox, daily or every week, based on your preferences. If you’d like to get in touch with a professional, agents are displayed next to their listings, and they’re easy to contact through the online forms. 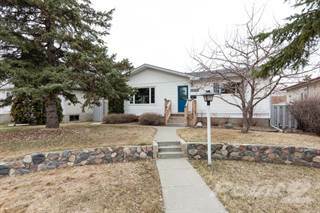 If you want more options, you can click the Tools tab and Find an Agent, and you’ll get a list of helpful and knowledgeable real estate agents in Meadowlark Park, West Edmonton, Edmonton, AB. Visit the Point2 Homes blog and you can find up to date expert advice on many markets throughout Canada, regular market reports, neighbourhood scoops in cities throughout the provinces, real estate deals and useful recommendations. Named after the western meadowlark, a yellow-breasted bird with a flute-like song, Meadowlark Park sends out the same message of tranquility and harmony. Meadowlark Park dates back to the 1950s and was originally part of the Town of Jasper Place, located west of Edmonton. The neighbourhood was built as an alternative residential area to those in the city. In 1964, Jasper Place was amalgamated into the City of Edmonton, Alberta, making Meadowlark Park one of the city’s newer neighbourhoods. Located in the heart of West Edmonton, Meadowlark Park is a residential neighbourhood with cozy homes, spacious lots and quiet streets – a suburban haven of serenity! Meadowlark’s convenient location provides easy access to Downtown and to major traffic routes such as the Yellowhead Trail, Anthony Henday Drive and Whitemud Freeway. It is bounded to the south by 87th Avenue, to the north by 95th Avenue, to the west by 170th Street, and to the east by 163rd Street. The Meadowlark Park area is an ideal community for all kinds of households. Retirees flock here because of its appealing single-family homes, condos and apartments. The quiet and safe environment also makes it a great family-friendly neighbourhood. It would come as no surprise to hear that newcomers are greeted with a welcome card and a plate of freshly baked muffins or cookies! An important feature of this West Edmonton neighborhood is the Meadowlark Health and Shopping Centre, which provides a number of medical services (clinics, pharmacies, medical and diagnostic imaging labs) and retail services (Safeway, Walmart, coffee shops, banks, restaurants, a gas station and other convenient services). Restaurants and coffee shops are mainly concentrated in the area around the Meadowlark Health and Shopping Centre. The vast majority of restaurants are fast-food chains, so if you enjoy fine dining you may not find what you want in Meadowlark Park. However, not far away lies West Edmonton Mall, the largest shopping mall in North America. This popular tourist destination is within fairly reasonable walking distance and is only a few minutes away by car, so you don’t have to travel far to find everything you need. 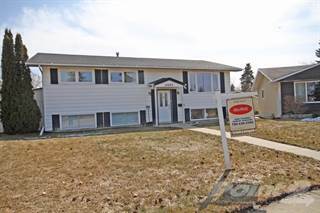 The most common types of homes in Meadowlark Park, which are typical for West Edmonton, are single-detached properties, and the average age of houses dates back to before the 1980s. The majority of houses have a rear, detached garage. Slightly more than 90 percent of homes are owner-occupied. High density housing is not yet available in Meadowlark Park. Approximately a quarter of the total residential dwelling units are condominiums or low-to-medium-density apartment buildings. 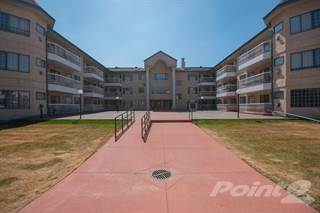 The two condo complexes here are Meadowlark Terrace, which offers underground parking, and The Renaissance, which is an adult-only complex conveniently located between the Meadowlark Health and Shopping Centre and Jasper Place Library. A clear indicator that the residents of Meadowlark Park are content in this peaceful neighbourhood is the scarcity of homeowners wanting to sell their homes. Hence, the land value in Meadowlark Park is fairly high with a desirability score of 93/100 as of 2013, meaning that 93 per cent of residents do not want to sell their houses. The most prominent feature of Meadowlark Park is the quietness of the neighbourhood. Even though it is situated in a strategic position, the setup of the residential areas makes it somewhat sheltered from traffic. As no freeways cross the neighbourhood and there are plenty of parks around, pollution levels are also minimal. The crime rate in Meadowlark Park ranges from low to moderate and the active Neighbourhood Watch Program has helped keep this level down. In the past 3 years, no major crimes such as homicides have been recorded in the area. There is only one school located within the neighbourhood, Meadowlark Elementary School, which offers both regular and Mandarin Chinese bilingual programs. It is operated by the Edmonton Public School System. In addition, there are two high schools located just beyond the neighbourhood’s western border in West Meadowlark Park: St. Francis Xavier Catholic High School and Jasper Place High School. A number of other schools are conveniently located in the surrounding areas of Elmwood, Glenwood and Lynnwood. Meadowlark Park offers good public transportation with around 11 bus lines passing through it. The Meadowlark Transit Centre, part of the Edmonton Transit System, is located on the north side of the Meadowlark Health and Shopping Centre and is within reasonable walking distance of most homes in the neighbourhood. The neighbourhood is somewhat walkable: with a walk score of 58, Meadowlark Park is ranked as the 78th most walkable neighbourhood in Edmonton. Thus, some errands can be done on foot. Meadowlark Park is a great place to raise a family. Several areas of greenery, large and small, are distributed throughout the neighbourhood, giving residents easy access to open space. In particular there is Jasper Place Jubilee Park, the biggest park in Meadowlark. It’s a great place to spend a family day out or play a friendly game of soccer. Not too far away is the Jasper Place branch of the Edmonton Public Library, a quiet getaway where you can read and temporarily escape the hustle and bustle of everyday life. For those looking for a life in the city without the “city life”, Meadowlark Park is the answer. Nestled in the centre of Edmonton’s West End, this convenient location leaves you minutes away from some of the city’s most prominent attractions and major highways. Whether you want to raise a family or just enjoy your long-earned retirement, Meadowlark Park is the perfect place. Read more about living in Edmonton, Alberta.